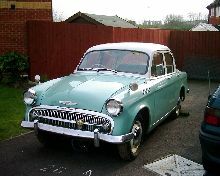 A new Hillman Minx arrived in 1956, the Series I. Hillman had decided to abandon the "Phase" model designation and so started off the "Series" numbering system for the new Minx. Mechanically the Minx was much the same as before and most improvements or changes were purely cosmetic. 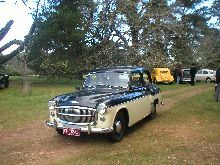 As before the Minx was available in either saloon, estate or convertible form, sadly the special hardtop "Californian" model was no longer available. In 1957 the Series II model arrived, once again changes were mainly cosmetic although a semi-automatic gearbox was added to the option list. 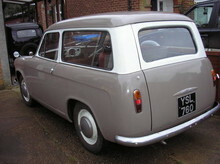 The Hillman minx Series II made a significant impact after its launch due to its new style grille and sportier look. 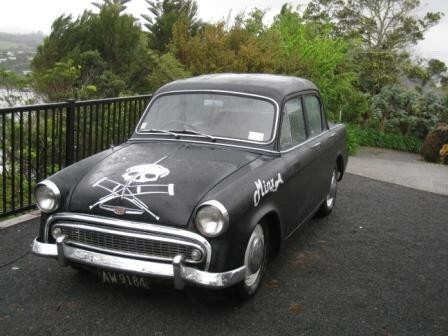 Many enthusiasts feel that the Minx series II is the "best looking Hillman ever built". The Series II convertible was the most sought after model but unfortunately not many were built. 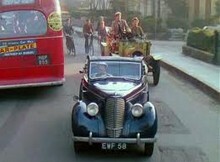 It is estimated that around 3000 convertibles were produced between 1957 and 1958. 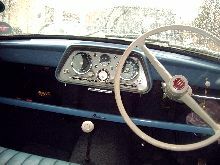 The series II was replaced with the Series III in 1959. 8' 0" 4' 1" 13' 4" 5' 0" 0 (19) 0' 0"